Since the invention of the zoom lens, there has been a demand for the perfect lens that would allow photographers to ditch lens-heavy camera bags and head out into the field or out onto holidays and vacations with only a single lens—one that handled every photographic demand thrown at it; from wide-angle landscapes, to beautiful portraits, to group photos, to macro shots, to telephoto framing of distant subjects. Enter the all-in-one zoom lens for SLR, DSLR, and mirrorless cameras—the photographic representation of the jack-of-all-trades. Is it a master of some? Many think so! 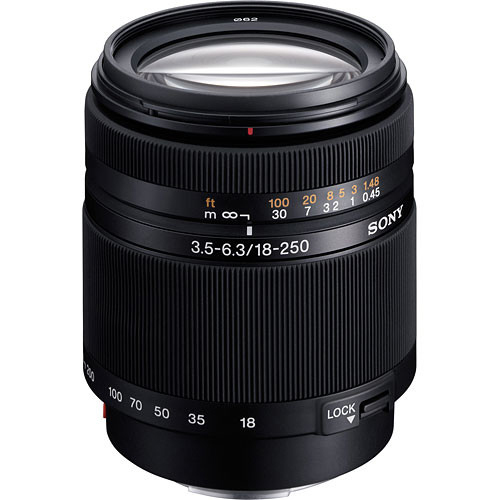 Before we dive into the buying guide, let’s give a deserved nod to lens maker Tamron for starting this lens movement way back in 1992 with its still-available Zoom Wide Angle-Telephoto 28-200 f/3.8-5.6 Aspherical LD IF lens. Designed for 35mm film cameras, its 7x zoom is regarded as the first true high-ratio zoom lens, or “superzoom,” for interchangeable-lens cameras. Today, the superzoom moniker has shifted from the purview of these SLR lenses to the world of the, forgive the use of the word again, superzoom or bridge point-and-shoot cameras with 16, 25, 65, and even 125x zoom lenses. 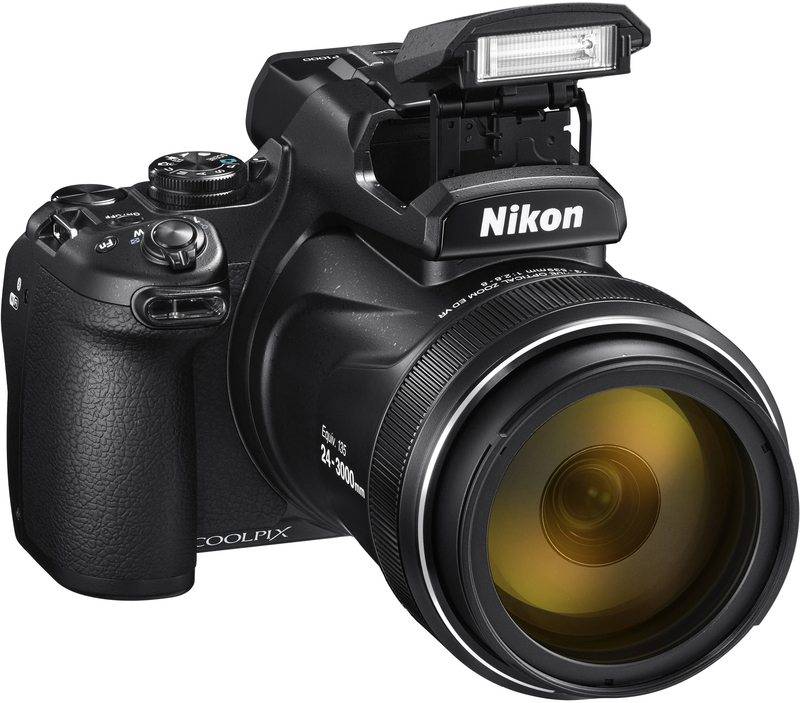 The superzoom name has been transferred from the SLR all-in-one zoom lens to bridge cameras, like the Nikon P1000. These days, for interchangeable-lens cameras, we get to enjoy high-ratio zooms that range from 7x to a head-turning 33x zoom range. One lens to rule them all. It sounds attractive. But, there are pros and cons, so let’s take a quick look at both sides of the all-in-one lens. One versatile lens weighs less than several less versatile lenses. While it’s smart to protect your gear with a camera bag, a bag designed to carry one camera and a single lens, versus one camera and several lenses, is going to be smaller and lighter—and, if you still carry a bag, leave room for other things like water bottles and walkabout necessities. No need to carry or switch four separate lenses to go from wide to normal to portrait to extreme telephoto. Have you ever dropped a lens while changing lenses or gotten a bunch of dust on your exposed sensor while swapping glass? I have done both. Ouch. Not switching lenses means you will be less prone to missing fluid compositional moments or dynamic action due to fumbling around in your camera bag looking for a different focal length lens. There is nothing like an all-in-one zoom lens when it comes to recomposing a scene without moving your feet (or swapping lenses). This flexibility is, often, a boon to creativity and creative compositions. Not a redundant entry. Most all-in-one lenses are lightweight and fairly compact, especially when compared to telephoto lenses. Even with larger all-in-one lenses, when you consider all the lenses that this one lens might virtually replace in your camera bag, the size/weight argument is handily won by the all-in-one lens. Most all-in-one lenses have relatively small maximum apertures of f/3.5 or smaller. In the world of light, larger apertures are better, but here we are sacrificing light-gathering power in the name of convenience. Some all-in-one lenses for smaller format sensors have wider apertures—a welcome thing—and many combat the potential of slower shutter speeds with image stabilization. As a counter to this drawback, might I humbly suggest being a two-lens photographer and carrying a small, inexpensive, and lightweight “nifty fifty” 50mm lens in your bag for low-light situations? Many all-in-one lenses are relatively sharp—and today’s zooms are much sharper than zooms of yesteryear, but no all-in-one zoom is going to compete against a nice prime lens, or a wide-aperture pro zoom, for ultimate sharpness. If you want to use an all-in-one lens and want to maximize sharpness, I recommend staying away from the wide-angle and telephoto extremes of the focal length (dial it back a bit) and shoot at mid-range apertures around f/8. And, all this notwithstanding, there are some all-in-one zooms that are known for their sharpness—a Canon all-in-one lens even gets the celebrated white paint, red ring, and “L” badge. When you are asking optics to bend light from wide-angle focal lengths and then focus light from telephoto focal lengths, physics starts to fight back. All-in-one lenses will likely have unwanted barrel distortion. This is not carnival fun mirror distortion, mind you, and today’s post-processing software does a pretty good job of making straight lines straight after capture. 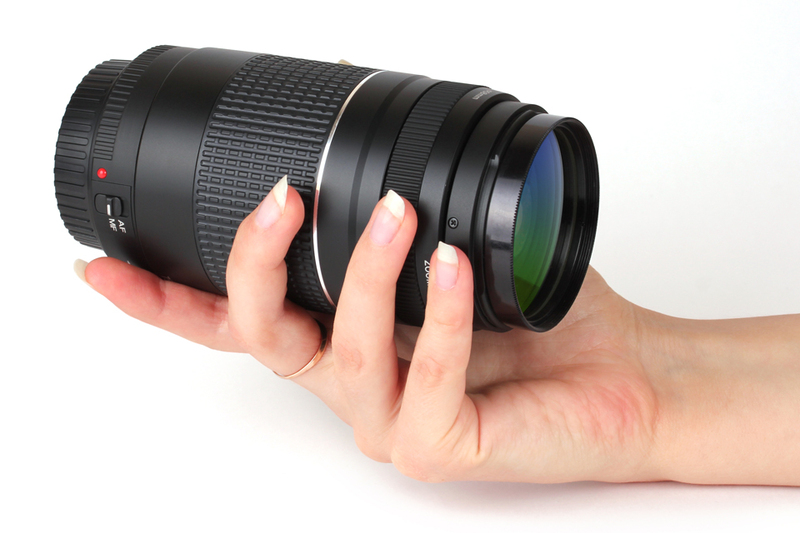 Are you a fan of the all-in-one zoom lens? 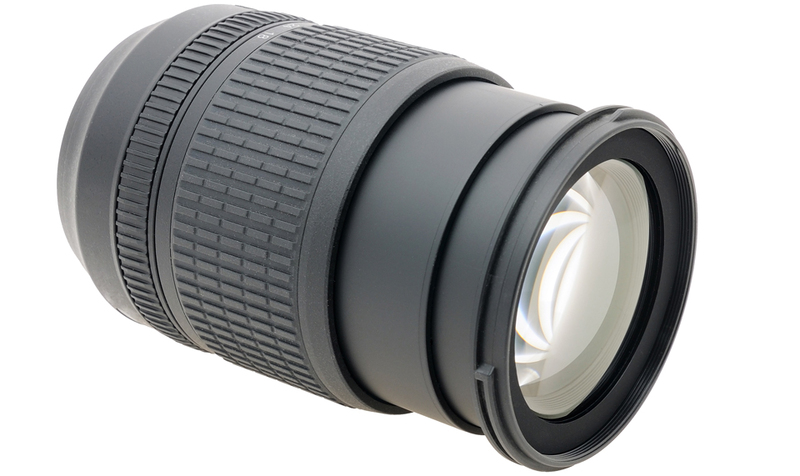 Do you have questions about this species of lens? Hit us up in the Comments section and let’s chat! If moving towards a mirrorless camera, a Sony A6300, B&H # SOA6300B and a Tamron T 18-200mm F/3.5-6.3 Di III VC Lens for Sony E Mount Cameras, B&H # TA1820035SS would be a great combination. With this camera, you’ll have very fast autofocus, a fast continuous shooting rate and a high ISO range. The lens would give you a stepping motor for quiet autofocus and good range of focal lengths from wide to telephoto. I am looking for something to shoot as close as 30 feet and something as far away as 150 yards in low light fast speed conditions (local racetrack) I have been looking at the 70-200mm Canon, but then I wonder can I use the same lens to then use around the house on things? Or do I need to have another lens? The other option I was looking at was the Tamron 16-300 3.5-6.3, but I didn't know, is the aeperature set by the body, or is it based on the zoom, for instance if I'm at 16 I can get it down to a 3.5, but if I'm at a 300 i'm at a 6.3? I'm wondering if anyone has any thoughts on it. I guess the goal is to have one great lens that I can use for pretty much close, or far away, with great light or low light. I just don't know enough. Any help would be greatly appreciated. 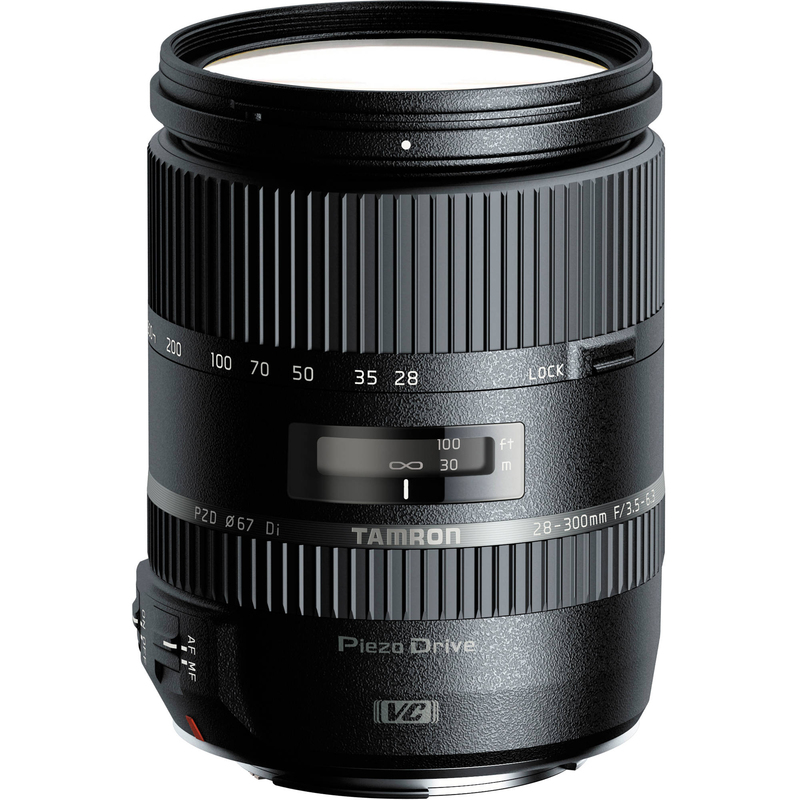 The Tamron 16-300mm has a variable max aperture, which would get smaller the more telephoto focal length you use. If you are set at f/3.5, this would be adjusted automatically as you zoomed in. That being said, the 16-300mm would not be an ideal option for shooting action in low light. 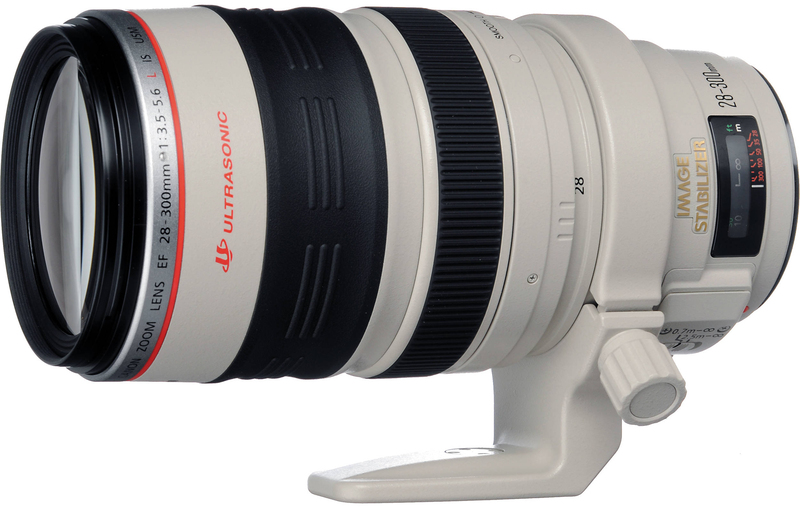 You really would want something like the Canon 70-200mm f/2.8. As for shooting things around the house, whether or not the 70-200mm would be useable really depends on what exactly you are taking photos of and the amount of space. Between the two, I would lean towards the Tamron 18-270mm. I find it to have the better optical quality of the two lenses. Hi, I love shooting sports, mostly basketball. I need a lens that will reach both ends of the court. In high school they dont always let you sit under the hoops. Sometimes I am up in the stands. Can you tell me which lens would be good for me. I am shooting with the 7D Mark II. Just got it! Can't wait to use it. 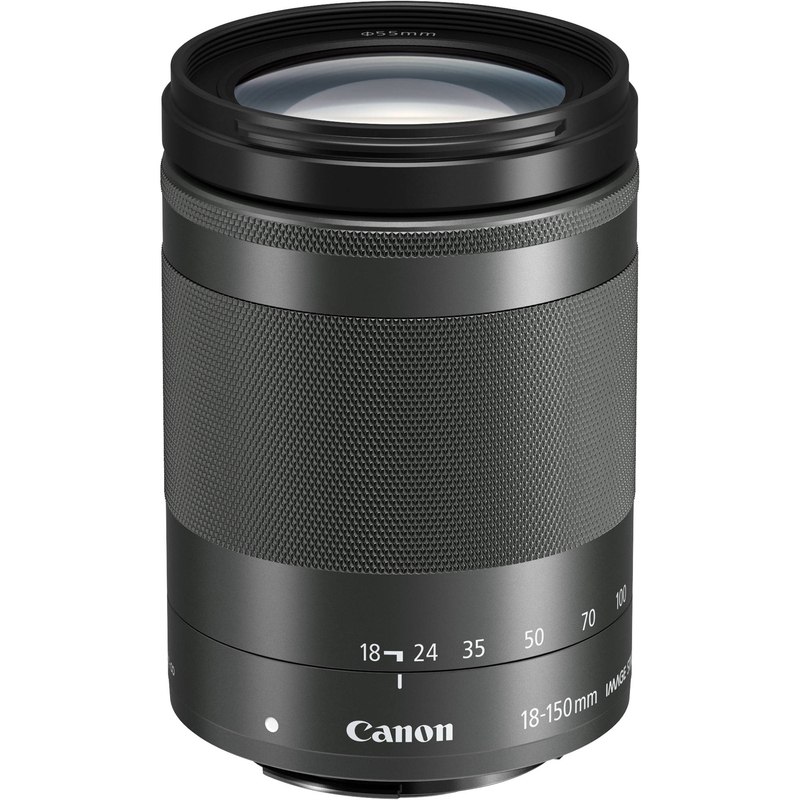 The EF 70-300mm f/4-5.6 IS USM Lens from Canon is a relatively light telephoto zoom lens offering a broad range of focal lengths from a single optic, with good optical quality and excellent autofocus performance from its ultrasonic (USM) motor. It has a circular aperture diaphragm to help create natural out-of-focus highlights, and its built-in image stabilizer allows you to handhold the lens at shutter speeds 3 steps slower than would otherwise be possible. This enables sharp imaging when shooting at telephoto lengths and even when shooting in low light. The two-mode stabilizer can be activated to only correct shake in the vertical axis for panning action when desired as well. The lens' USM AF is very quick, smooth and silent, and it features a zoom lock button that keeps the lens safe and secure when not in use or when being used at the shortest 70mm focal length setting. The EF 70-300mm f/4-5.6 has Canon's "Super Spectra" lens coatings for ideal flare-resistance, and is ideal for travel, sports, and general photographic applications. Hi Author, I think it could be recommendable if you corrected your statement as quoted below. 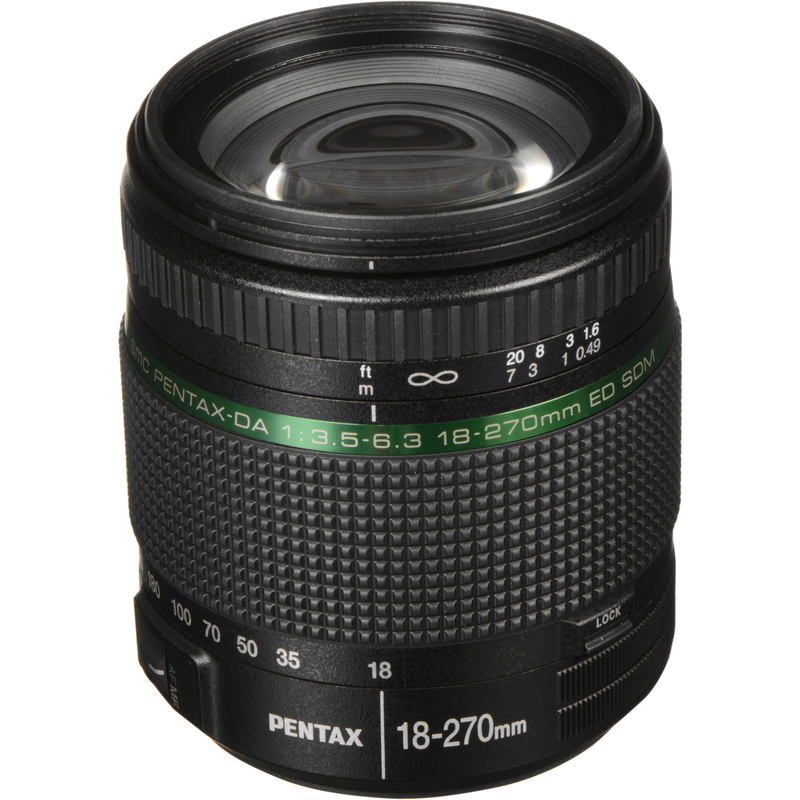 For APS-C format DSLRs, we have a choice of seven 18 to 200mm zooms, an 18 to 250mm zoom, and an 18 to 270mm zoom. The 18 to 200mm zooms have the equivalent focal range of a 42 to 300mm lens or a 44.8 to 320mm equivalent lens, depending on whether you’re shooting with a DSLR from Nikon, Sony, Pentax (all 1.5x) or Canon(1.6x). Maybe I just misunderstood but you wrote that the 18-200/18-250 is the equivalent of a 44 (on the small side) but that's not 1.5x/1.6x besides on the next line the sigma is listed at 27 etc. Which is is it? 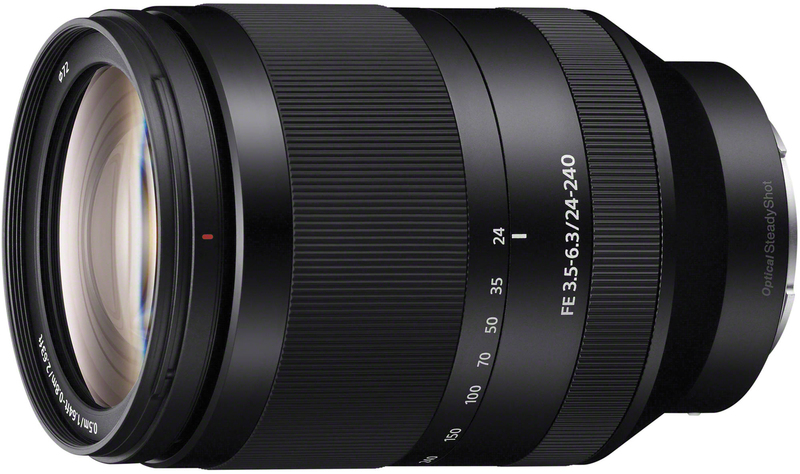 Would the Tamron 75-300mm f/4-5.6 lens be compatible with a Panasonic Lumix DMC-G5 camera? I have a Nikon D3100 and I want to exchange my 2 lenses 18-105 and 55-200 for an all encompassing lens for traveling. I would like your opinion on a lens that would cover either 18-270, 18-300 or 18-250. I am not concerned about the make. I would just like to get a lens I will be happy with for a change!! I have read conflicting reports and now not sure where to go from here. Thanks very much. I am looking for 75-300mm lens for my canon rebel. I have not seen anything with image stabalization. Is this something I really need? Also can you turn off the auto focus on these lenses? While Image Stabilization is not a necessity, it is a big benefit in assisting you in getting sharp images in either low-lighting situations or in situations that would require you to use a shutter speed slower than you can normally hand-hold the lens without natural breathing and movement (or car or moving platform you are on) causing camera-shake to blur the image. At slow shutter speeds, your breathing or natural body movement can introduce slight blur into your image. Image Stabilized lenses have small motors inside the lens that predict and move exactly opposite of your movement, allowing you to shoot at slower shutter speeds and still obtain sharp images. Without getting too technical, the rule of thumb is to use a shutter speed that is the reciprocal of the focal length you are using. In layman's terms, that simply means look at your lens' focal length and your shutter speed should be faster than the lens' setting. For example, if you have a 75-300mm zoom lens and your lens is at 75mm, your shutter speed should be 1/80 sec or faster. If you're set to 300mm, the shutter speed should be 1/320 sec or faster. All this being said, realize Image Stabilization only recently was introduced into cameras and lenses within the last 15 years, while photographers have been taking sharp, slow shutter speed images for the last 185 years. Before Image Stabilization was placed in cameras and lenses, you could stabilize your camera by simply purchasing and placing your camera on top of a tripod or other steady surface (of if standing, lean against a tree or building to help stabilize yourself). It IS NOT a necessity; it is a BENEFIT, and an additional reason to consider purchasing the lens, especially if you typically hand-hold your camera or cannot set up a tripod. To answer your last question, all of the aforementioned lenses allow you to either focus automatically or manually. It depends on your camera/lens as to how this is achieved. Some lenses have the Autofocus/Manual switch built into the lens; some cameras have the switch built into the camera body; still others require you to adjust the focus setting via a menu in the camera. You can either look at your equipment or refer to your instruction manual to see how to switch your camera from autofocus to manual focus. 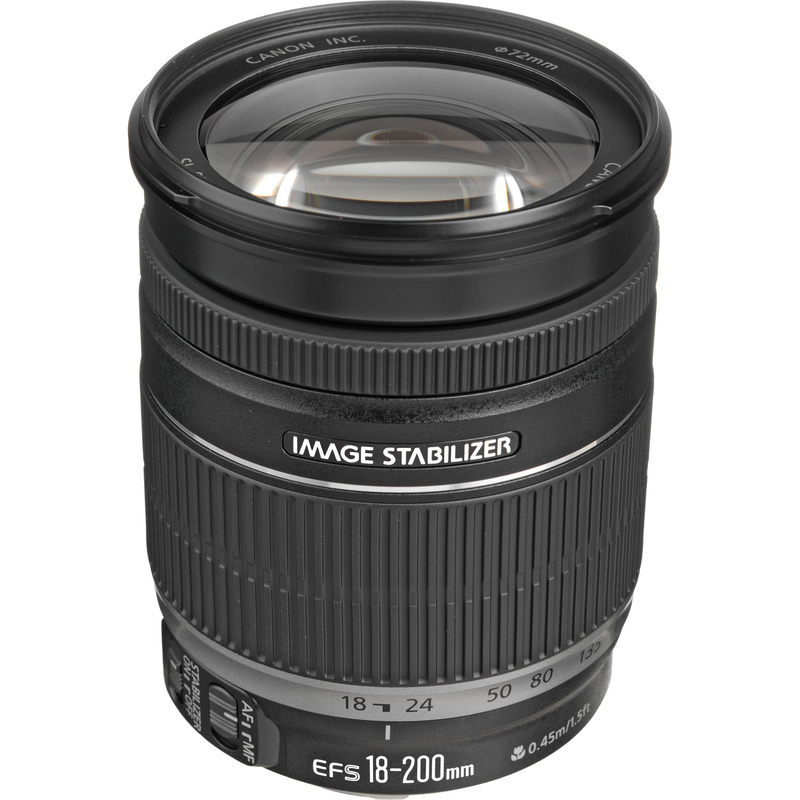 Is the Tamron 18-200mm f/3.5-6.3 compatible with a Canon 40D? I just want to verify that this lens will work with the sensor on this camera. Yes, it will work with the Canon EOS 40D, as it is designed for the APS-C 1.6x cropped sensor in your camera. 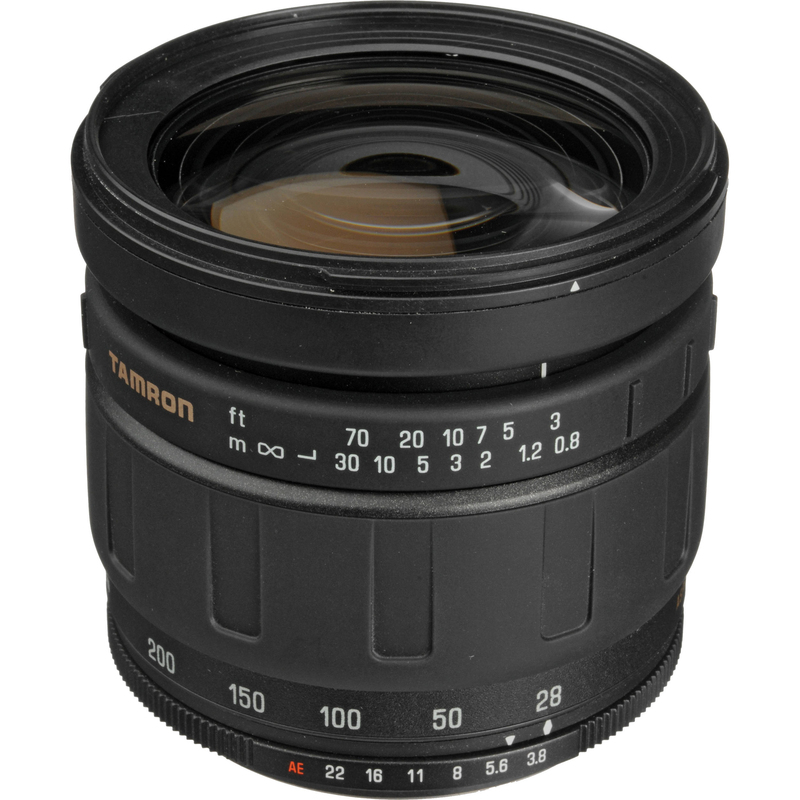 You must, however, ensure you purchase the correct lens designed for the Canon mount, as Tamron does make this lens to fit different camera brands, so ensure you purchase the lens for the Canon lens mount. You can use the link below to purchse the correct Tamron AF18-200mm F/3.5-6.3 XR Di-II LD Aspherical (IF) lens for the Canon EOS 40D. An excellent summary and an un-biased guide to all who need such lens versatility. As a Canon EOS 5D Mk2 user I picked the Canon 28-300 mm and have carried it on trips from the UK to most of Europe, Egypt and China and even NYC. With the camera's excellent image stabilisation and high ISO capabilities the f/3.5 - 4.5 has seen me shooting really inpressive night shots as well as daytime. About as close as it gets to a universal lens I think. It is heavy of course and when not shooting I often carry the lens/camera unit by the tripod foot for balance. But I have never wished I had left it at home. Add my Canon 16 - 35 2.8L and my Fish-eye 15mm and I have never been lacking a suitable lens on a trip. I'm interested in purchasing the Panasonic Lumix GH2 camera with a 14-140 lens. 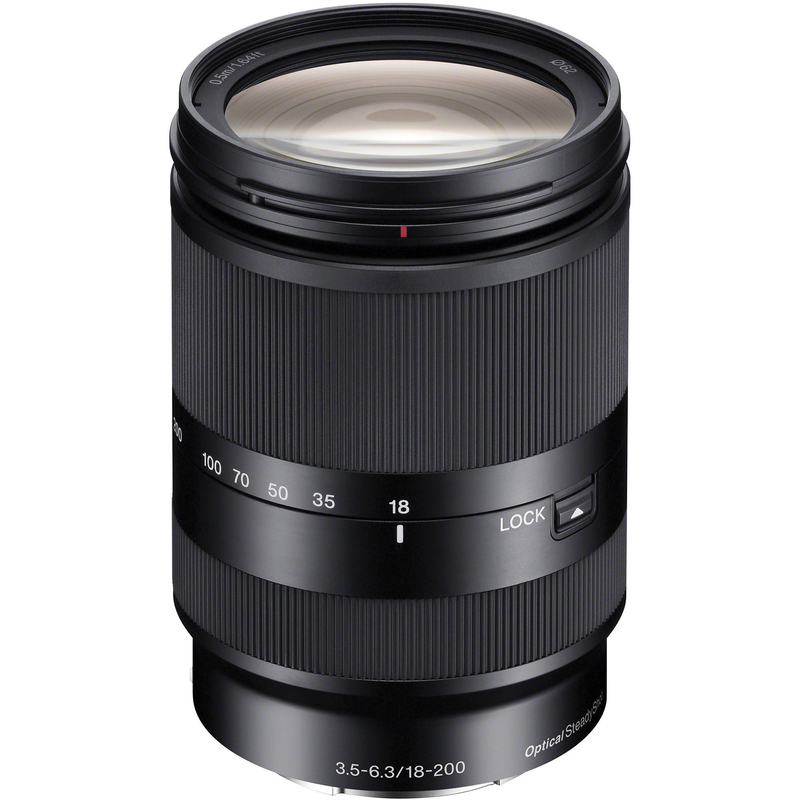 Is the Panasonic Lumix G Vario HD 14-140/4-5.8 ASPH MEGA O.I.S. the same as the one that comes in the GH2 14-140 kit? 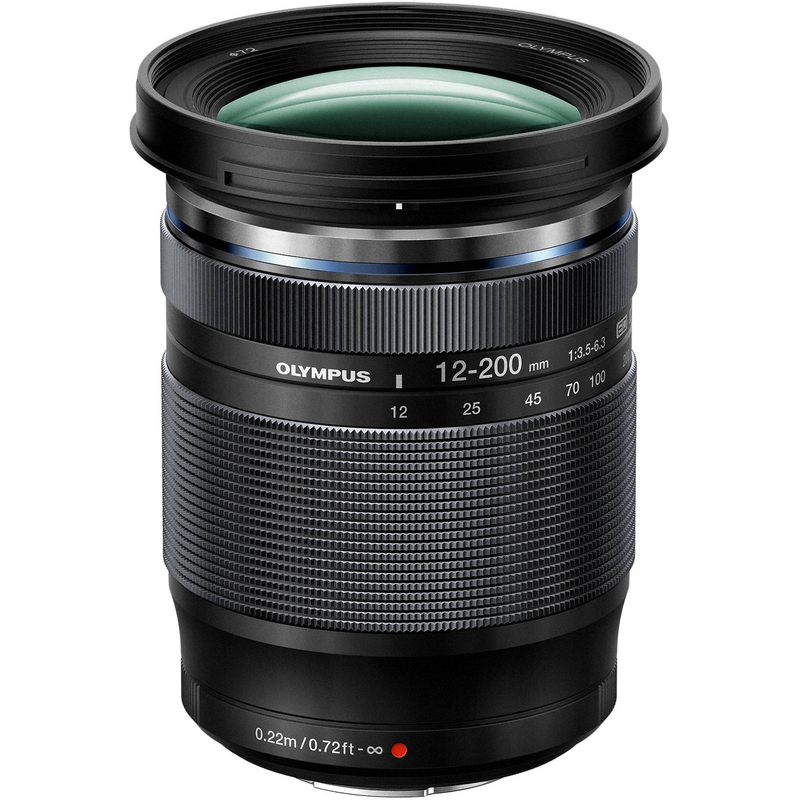 If not, is there a comparison review of the differences between the two (three) 14-140 lenses? If I would like to purchase the more expensive lens, can I substitute that for the one that comes in the kit? As far as I know, there is only 1 Panasonic Lumix G Vario HD 14-140mm f/4.0-5.8 ASPH/MEGA O.I.S. Lens which is included with the Panasonic Lumix GH2. 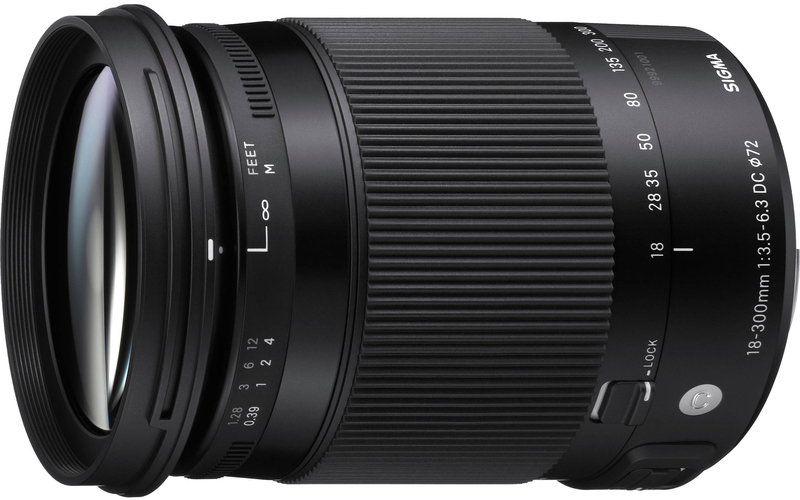 According to Panasonic's web site, there is only 1 14-140mm lens available. 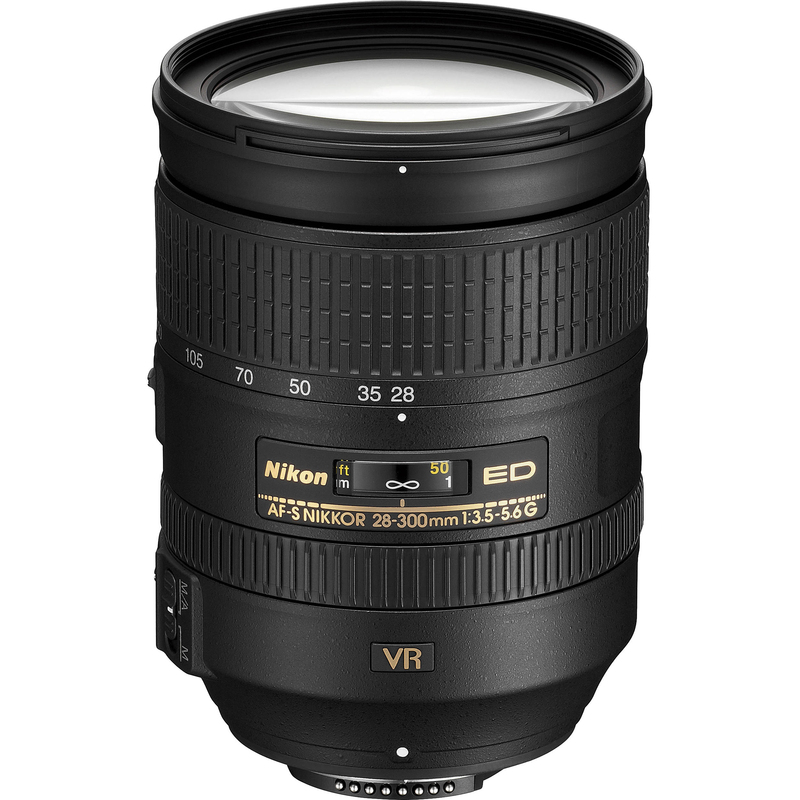 Are there any zoom lenses for Nikons that start at a wider focal length? I need at least a 16mm (24mm full frame equivalent) but dont't need as much telephoto length. An ideal range for me would be 16-80. But all I find are either expensive fisheye zooms (11-18) or ranges starting no wider than 18mm. Are there any options for me? 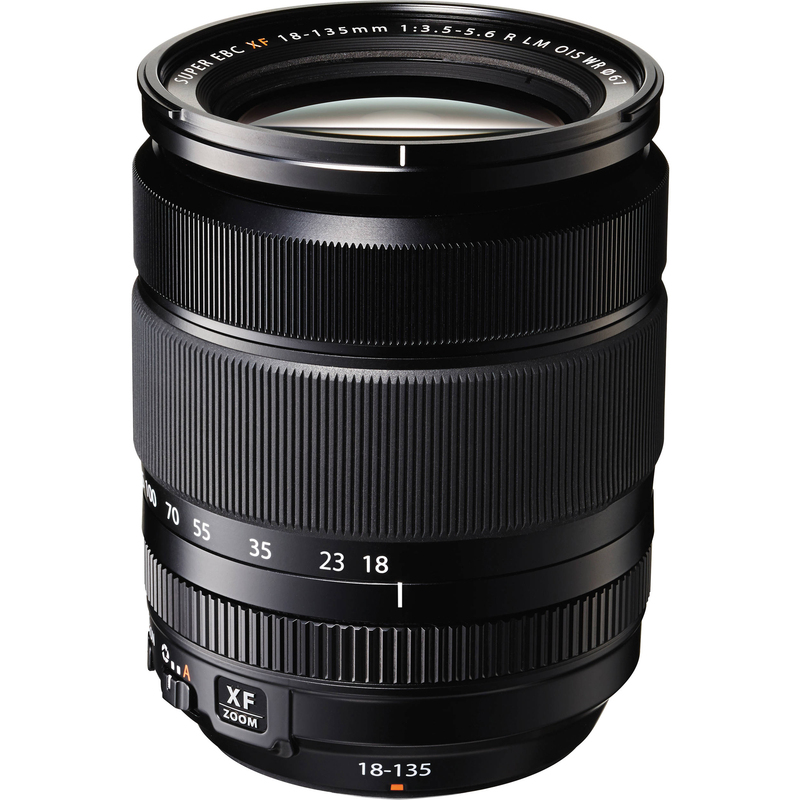 The Sigma 17-70mm F2.8-4 DC Macro OS HSM Lens is a large-aperture lens with a maximum f/stop of f/2.8 in wide angle setting. The large zoom range of this 4x zoom lens (equivalent range of approx. 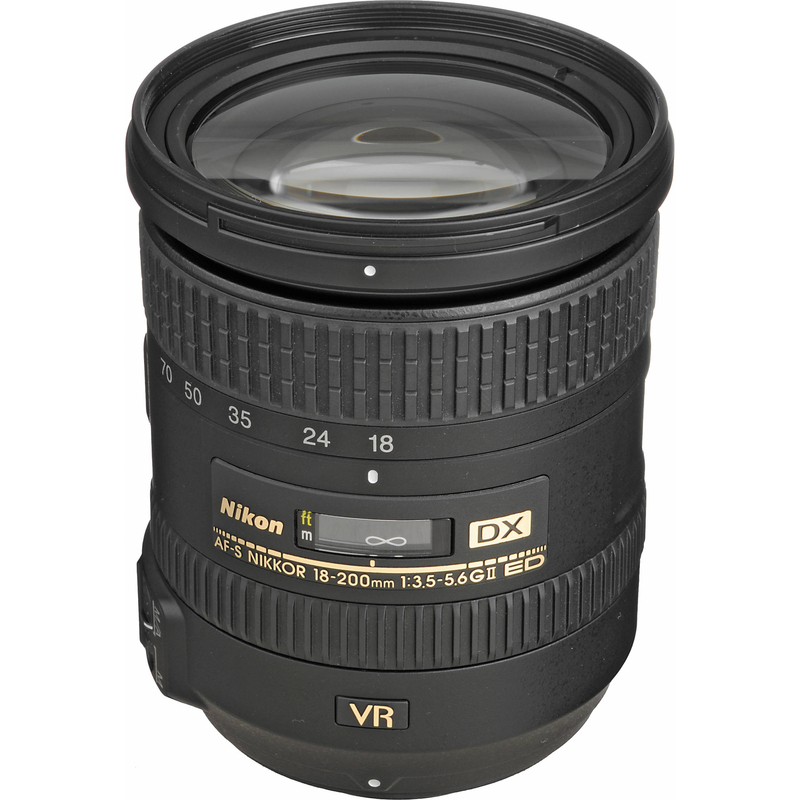 27-112mm when used with a Nikon digital SLR camera with an APS-C size chip) makes it ideal as an everyday large-aperture lens. In addition, the minimum focus distance of 8.7" along with the maximum magnification of 1:2.7 also makes the lens perfect for close-up photography. Mark S. on Which Video Camera is Best for You?